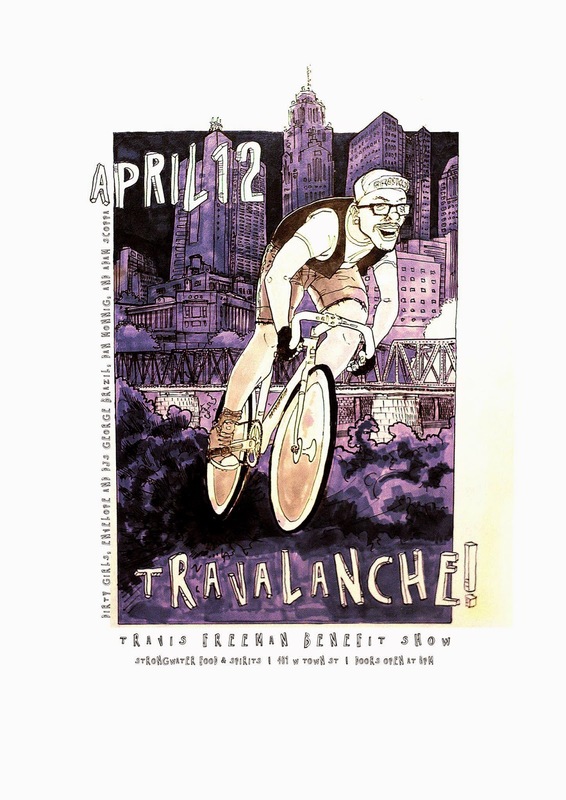 Monday Night Ride and Street Sharks Sprint Series of Columbus would like you to show your support for T-Ravis Mitchell Freeman by coming out Saturday April 12 to ride bikes, drink beers and dance hard at the TRAVALANCHE! :: Travis Freeman Benefit Show! Garage rock hedonists Dirty Girls will be performing along with smooth flows delivered by Envelope. Some of the city's most popular DJs will be on hand including Dan Monnig, dance rocker George Brazil and Adam Scoppa from Heatwave! 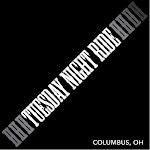 Bring your ride because we're meeting up before the show to race and the fastest bikes will win prizes! But if you're not a power-pedaller, don't worry - we've got an amazing night planned at Strongwater Food and Spirits with some awesome door prizes and a silent auction too! Tickets are on sale NOW at http://travalanche.brownpapertickets.com/ for just $5 (plus a very small service fee) or you can purchase the day of the event for $7. All proceeds will benefit the Travis Freeman Recovery Fund!